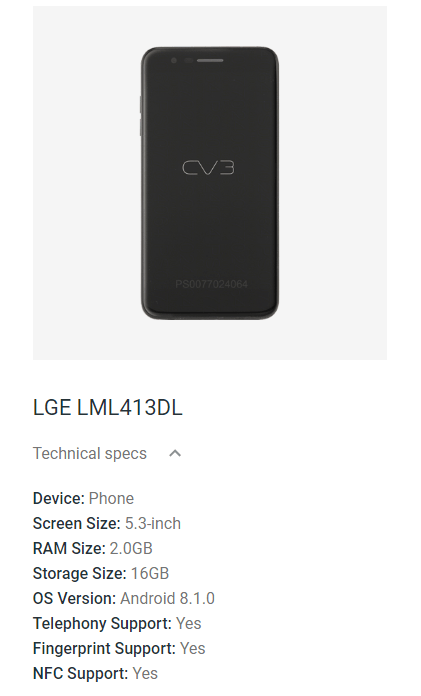 The phones sold by HSN runs on Android 7.0 Nought, But on Android Enterprise website, LG LM L413DL is listed with the latest Android 8.1.2 Oreo OS. and it’s CDMA and uses the Verizon 4G LTE network. 5-inch display of 1280X720 pixel resolutions. It’s a GSM phone and uses the AT&T 4G LTE network. CDMA variant of the LG LML211BL. It uses the Verizon 4G LTE network.